The latest issue of Immortal Men makes clear Caden’s intended role in the group. It also screws that up, and the purpose meant for Caden is not what he winds up becoming. 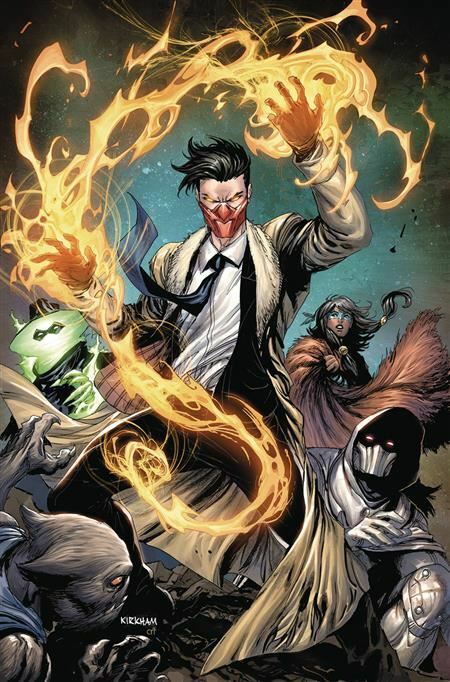 The introductory story arc is not quite finished, the climax of this issue prepares for a big showdown in the next one, but by now we have been introduced to the members of the team, Immortal Man has been brought back and disposed of in a clever way, and Caden has gone from a mystified teen to an active member of the group. I found the art on this chapter of the story particularly effective. Although we are in superhero territory, the events in this issue are devious and manipulative, and at times the panels look almost more suited to a horror comic. That really adds to the overall mood of the issue. Now that the purpose of the team, and the villains, has been made clear, I appreciate what has come in the earlier issues, but I do find myself wondering where the book is going to go once this arc is completed. This almost feels more like a miniseries, but as long as Tynion and Kirkham have some solid ideas about where to go next, this should continue to be entertaining. Timber has become my favourite member of the Immortal Men. That’s a good thing, as Caden has not grown on me as much as he might have. Still, it’s early days and the kid only really finds his footing in this issue.